CBD oil continues to prove itself as a remarkably effective way to help a number of ailments your dog might be experiencing. Researchers at Cornell University recently concluded a study on the effects of CBD oil on dogs suffering from osteoarthritis. Over the course of six weeks in the double-blind study, dogs were given either CBD oil or a placebo by mouth twice daily. Dogs who took the CBD oil showed clear improvement – veterinarians saw a decrease in pain and an increase in activity. Best of all, owners reported no side effects in the pups who took the CBD. This is excellent news for owners whose dogs suffer from joint pain. 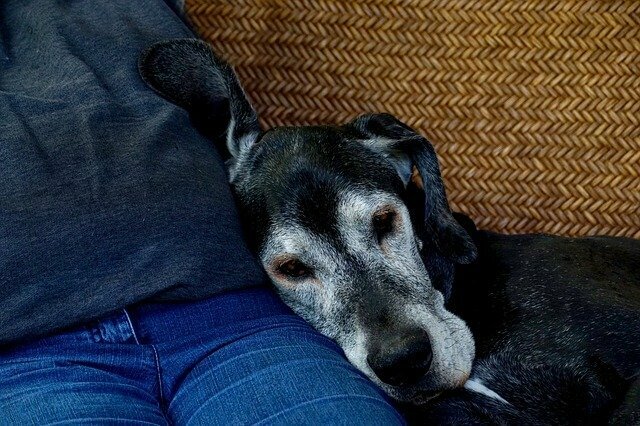 This painful condition effects all breeds, but especially larger breeds and senior dogs. Until now, most pet parents have had to rely on anti-inflammatory medications (NSAIDs) to give their dogs relief from their joint pain. However, there are several issues that come along with them. Veterinarians have suspected that NSAIDs do not provide adequate relief for arthritis pain, and they can have negative side effects on the body. Some dogs, particularly older dogs with kidney or gastrointestinal disease, cannot take them at all. This new research, and others that have studied the effects and uses of CBD oil in dogs have shown no apparent side effects – and not just in young, healthy dogs. Senior dogs, dogs with neurological problems, and now dogs with joint pain are seeing the benefits CBD oil has to offer without suffering damage to organs and tissues. Does your dog suffer from joint pain? You might consider trying CBD. 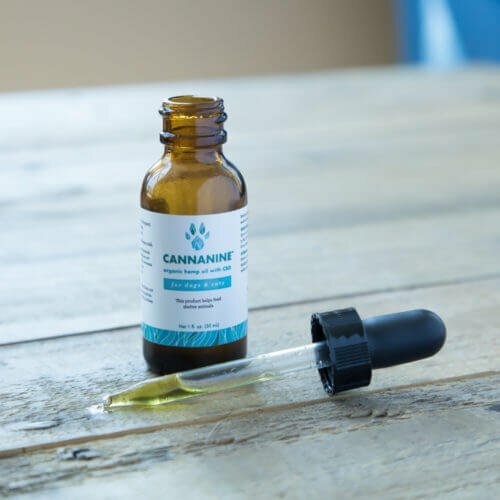 The ingredients in Cannanine™ Organic Hemp Oil can give your dog relief from a number of painful conditions, including joint pain, by supporting whole-body wellness via his endocannabinoid system. It doesn’t contain any THC – so your dog won’t experience any “high” while using it. Cannanine™ CBD oil is made just for dogs from human-grade ingredients and is legal in all 50 states. If you think CBD might make sense for your dog, talk to your veterinarian. You can also reach out to us at Cannanine.